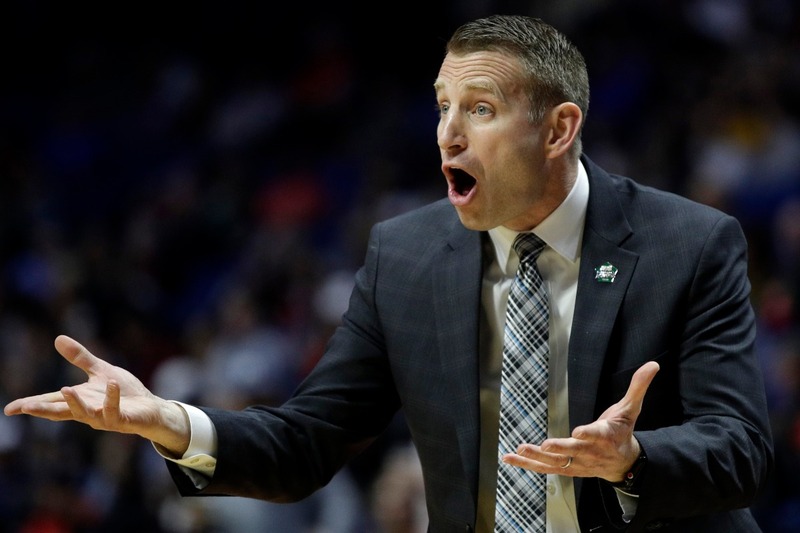 Nate Oats is in his fourth season as the head coach at Buffalo. In those four years, Oats has compiled a 96-42 overall record, two MAC regular-season championships, three conference tournament titles and three NCAA Tournament appearances. The Bulls are a No. 6 seed in the NCAA Tournament — the highest in school history — after winning a school-record 31 games and finishing the season ranked No. 15 in the AP poll. Buffalo got right down to business on Friday in demolishing Arizona State 91-74 in the first round, and will face No. 3 seed Texas Tech on Sunday in the second round. Oats joined Buffalo’s staff as an assistant in 2013, after coaching at Romulus High School in Romulus, Mich., where he won a Class A state title. When Bobby Hurley left for Arizona State in 2015, Oats was named the interim head coach. Within days, he was given the job on a permanent basis. Sports Spectrum’s Jason Romano recently exchanged texts with Oats about how his faith impacts the way he leads his team. Jason: How has your faith played a role in your life during this season? Nate: My faith keeps me grounded. It keeps life in perspective. Winning and losing games isn’t the ultimate in God’s eyes; knowing and loving God and being loved by a gracious God is ultimate. How we treat others and how we point others to Jesus is what really matters. My daily quiet time with God in the Word keeps those truths at the forefront of my mind on a daily basis. Jason: What’s been a verse or Bible message that has helped you stay grounded in Christ in 2019? As we win games, we need to give God praise. He gives and He takes away and that needs to be a constant reminder. Humility in the leadership role is extremely important. Every success in this life God has given us and we need to remember that He gave it to us. Therefore, we would be foolish to boast in ourselves. These verses have been a great reminder of the greatest gift in my life: my salvation. The success on the court has been amazing and I am so thankful for the support our program has been given, but I must never lose focus of the greatest victory that was accomplished through Jesus Christ’s work on the cross. Coaching can be stressful but just knowing God has the ultimate control of our lives gives us a peace we can only know through Him. Jason: How important is it for you to have Christ as your example as you lead your team? Nate: If you’re a true believer in Christ, He should be shining through in everything you do. That doesn’t mean we’re perfect. Our players and people in the program need to see us fail, repent and grow from it. They need to hear us apologize for our sins and understand that the Christian life is one of grace and growth. Without putting Christ first, that doesn’t happen like it needs to.